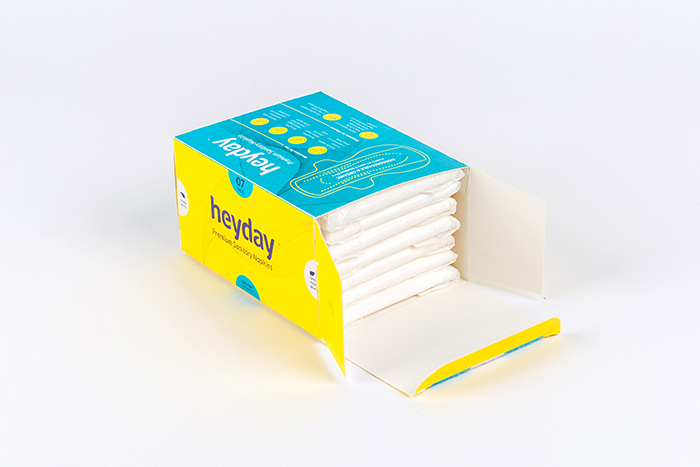 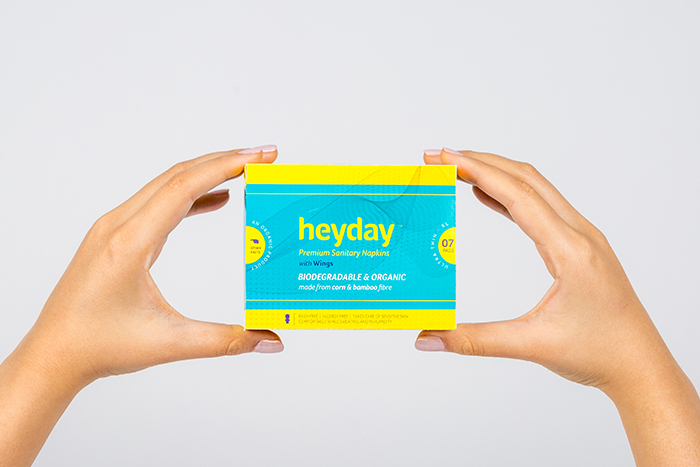 Heyday is a premium sanitary napkin; the first ever brand to sell 100% organic sanitary wear in India. 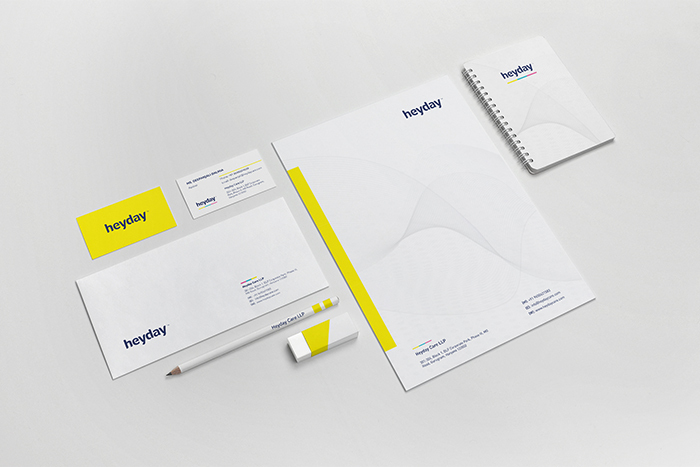 While branding Heyday, we decided to stick to the ideology that clean and simple design is better for the flow of communication. 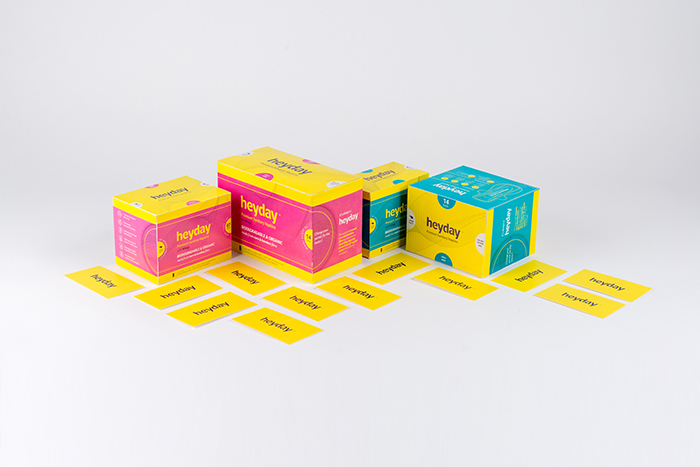 The packaging was created in keeping with this direction of less is more, combined with bold, bright colours that speak volumes themselves. 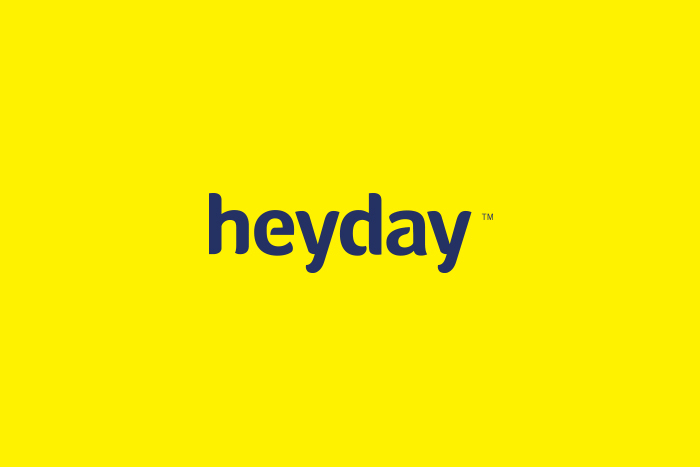 A custom logotype was created for heyday, the rounded edges provide a soft yet strong emotion to it. 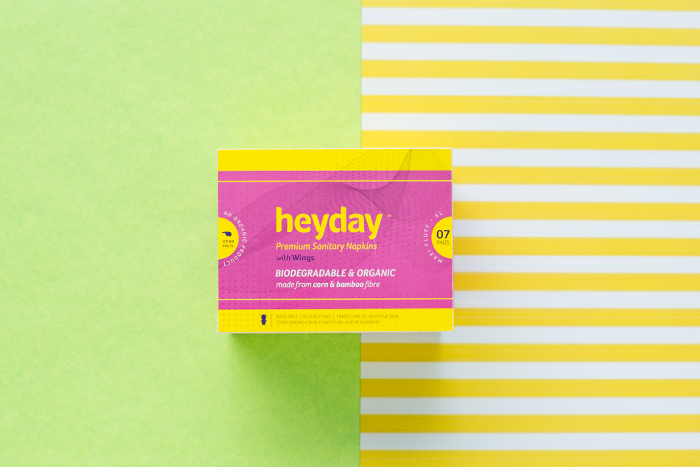 We created a custom font with strategically placed stencil cuts and a reduced descender height. 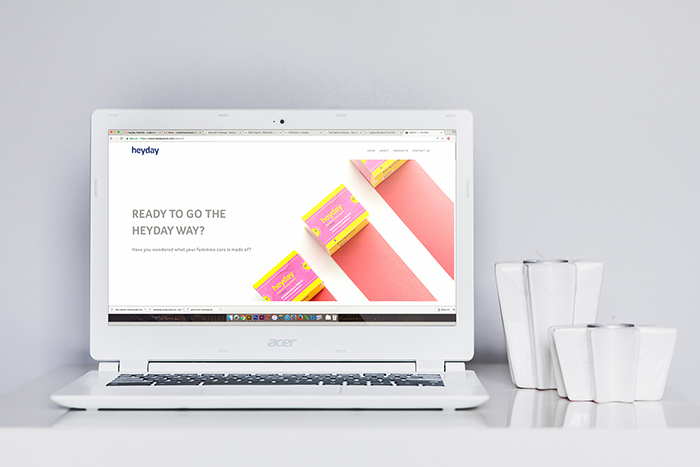 The brand language is built on shapes that lead the consumer to the actual form and design of the product, revealing a more accurate, refined understanding for the consumer. 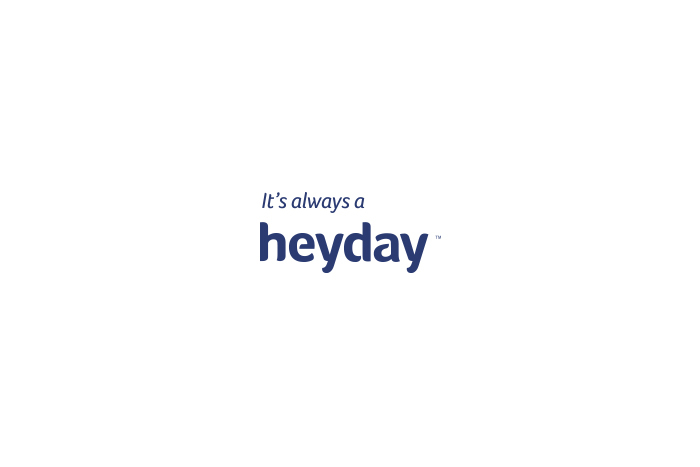 The design of Heyday is intended to be a direct communication – confident and playful, keeping with the contemporary current day scenario. 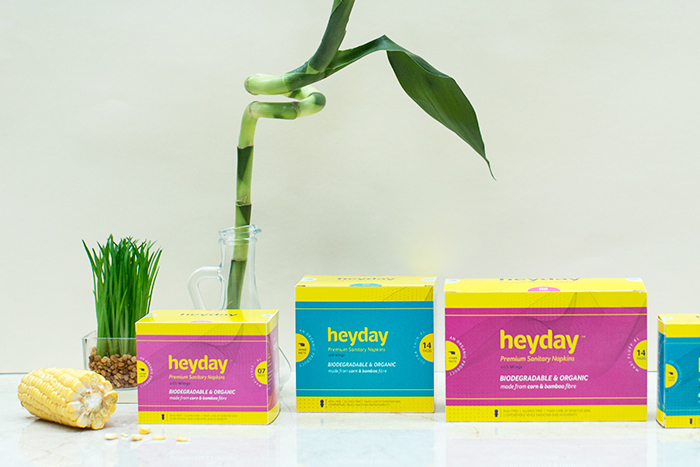 It is a simple, tiny message – an invitation, to let today’s woman celebrate, and a suggestion to live a healthier life. 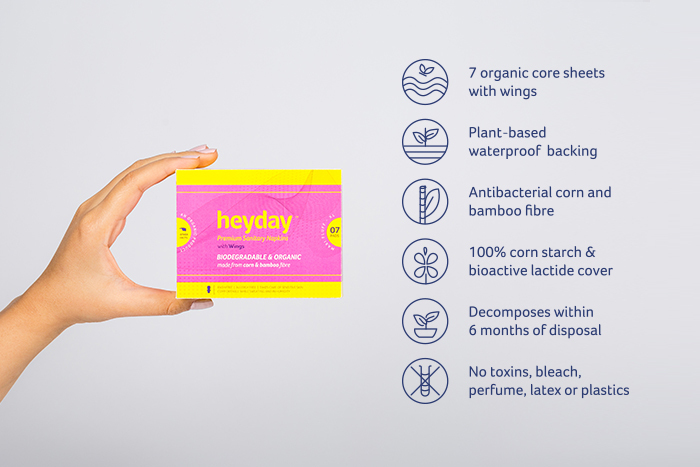 These all natural, biodegradable & organic sanitary napkins are made out of bamboo fiber/organic cotton, are fragrance-free, and a ‘friend to your skin’.